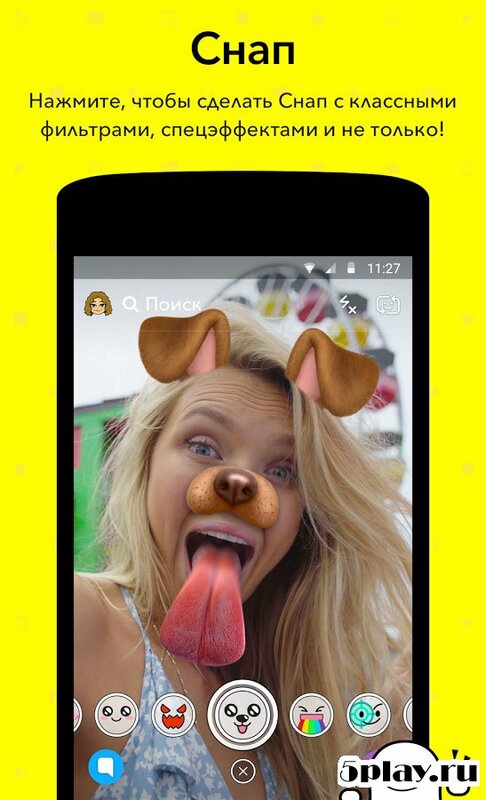 Snapchat – the messenger has received remarkable popularity, having as usual for such applications function and their unique capabilities. 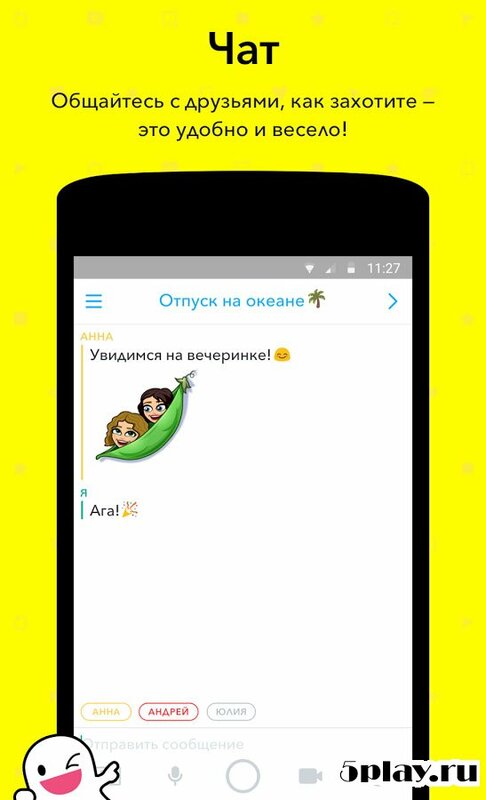 As in other similar programs, there is a function to send text messages and funny stickers. But in our time no surprise, therefore, the application has a number of distinctive features. In many ways they are related to the work with multimedia files. When a photo or video, you can use a number of filters and cliparts, for example, to put rabbit ears or a mustache on my face in the picture or the video to further spread the result and see how many friends liked it. The user can select a period of time after which the file will be deleted. 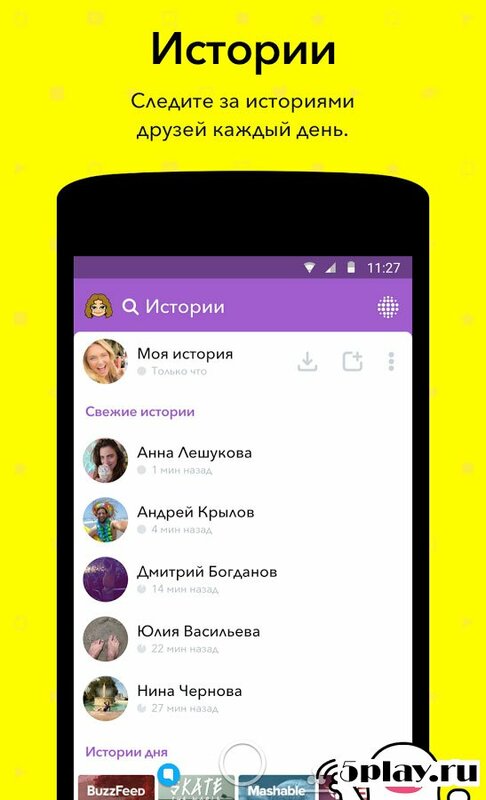 Appreciate its popularity is possible when viewing the stats of screenshots, which gives information about sasinovka photo users, and the traditional "Laika". There in the application and the Discovery tab, where you can find interesting videos and images. For convenience, all divided into themed sections. The transition between them is accomplished with a swipe across the screen, which is very convenient. 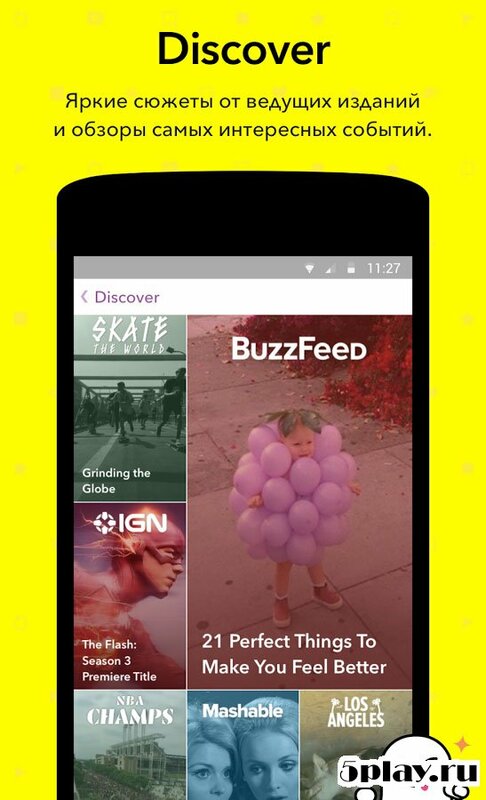 Snapchat is a great messenger app that has great opportunities due to this and won popularity among many users.